Well , a lovely person asked me many questions so I shall try and answer them. Here is the comment. Well, to start with, I have never read In This House of Brede, or have never seen the series on the BBC. although a famous priest mentioned that my buying an amazing scarf in Notting Hill, which I gave away, before I went into Tyburn in Autumn last year, reminded him of the main character having a cigarette and G and T before going in . (One could only dream of looking like Diana Rigg). Anyway, the main reason I went into Tyburn is that it is a Benedictine order and I love the Benedictine spirituality. Having studied the Rule of St. Benedict for a very long time, it was the obvious choice. And, I had tried to enter two other Benedictine monasteries in the past. Secondly, Mother General made a huge exception is accepting someone my age. Most orders have a cut-off of 40. I am way beyond 40. There are good reasons for this, the first being that one must be malleable for formation. The second is that the life is hard and demands excellent health. Thirdly, God does call people to two vocations and I think I am one of those. But, for example, men who are called late in life to the priesthood are usually not turned down because of age. To be honest, the women's orders are more strict on this point. And, life in community is much harder physically than the life of a secular priest who may live alone, and be much the same in his private life as he was before ordination, except for his duties. This is not an option for women. Fourthly, a second vocation for a woman is much harder to find in the world as orders are organized now. I have spoken with many orders and superiors and superb health and stamina are really needed. But, the other issue is that orders were founded for youth to enter-in other words-it is part of the charism of these orders to train young women. Fifthly, I already had a relationship with England, having lived there for a total of 12 years. However, I was at Tyburn in Cobh last year, which is one of the daughter houses of Tyburn. Now, I believe I have a contemplative call in the world, which is extremely difficult as it is easier to say the Divine Office with others, for example, and all work together for perfection. It is much harder on one's own. However, I am trying to do this. God has called me to a lay life and to be a contemplative in the lay setting. This is why I am interested in finding some who may want to do this with me in Walsingham, or even elsewhere, for example. As to books, just read the lives of the saints, and the Rule of St. Benedict, the writings of Therese the Little Flower and Teresa of Avila. One is called to a spirituality, such as Dominican-ism, or Franciscan-ism or Benedictine-ism. Good questions and I hope I answered your queries. As long as the laity in any country keep looking towards the priests and bishops for their own personal holiness, the slide into chaos in the Church will continue. Read my posts on Catholic thinking...we are responsible for our own salvation and cooperation with grace. Is it harder when the clergy are weak and even become apostates? Yes, but that does not clear us of our own culpability. It has always been this way in the Church, and will be until Christ comes again. I do not want to waste time writing on things people do not need. Would you take time to comment on what your particular needs and wants are here on this blog? Some persons I know have had two experiences in the past year. One, is a particular judgement while still alive, wherein God has revealed to them all the sins of their life. One wonderful man I know, a single gentleman who works for Catholic charities in another country, said he sobbed for three days, and had his second conversion. Another man I have spoken with has told me the same thing, where he had a physical and spiritual experience of being in hell, under torments, with God showing him his sins and the place he would be in if he did not repent. And he was was called to avoid future sins. Some considerable time after our Lord had bestowed upon me the graces I have been describing, and others also of a higher nature, I was one day in prayer when I found myself in a moment, without knowing how, plunged apparently into hell. I understood that it was our Lord's will I should see the place which the devils kept in readiness for me, and which I had deserved by my sins (1). It was but a moment, but it seems to me impossible I should ever forget it, even if I were to live many years. The entrance seemed to be by a long narrow pass, like a furnace, very low, dark, and close. The ground seemed to be saturated with water, mere mud, exceedingly foul, sending forth pestilential odors, and covered with loathsome vermin. At the end was a hollow place in the wall, like a closet, and in that I saw myself confined. All this was even pleasant to behold in comparison with what I felt there. There is no exaggeration in what I am saying. But as to what I then felt, I do not know where to begin, if I were to describe it; it is utterly inexplicable. I felt a fire in my soul. I cannot see how it is possible to describe it. My bodily sufferings were unendurable. I have undergone most painful sufferings in this life, and, as the physicians say, the greatest that can be borne, such as the contraction of my sinews when I was paralyzed, without speaking of others of different kinds, yea, even those of which I have also spoken, inflicted on me by Satan; yet all these were as nothing in comparison with what I felt then, especially when I saw that there would be no intermission, nor any end to them. These sufferings were nothing in comparison with the anguish of my soul, a sense of oppression, of stifling, and of pain so keen, accompanied by so hopeless and cruel an infliction, that I know not how to speak of it. If I said that the soul is continually being torn from the body it would be nothing,--for that implies the destruction of life by the hands of another; but here it is the soul itself that is tearing itself in pieces. I cannot describe that inward fire or that despair, surpassing all torments and all pain. I did not see who it was that tormented me, but I felt myself on fire, and torn to pieces, as it seemed to me; and, I repeat it, this inward fire and despair are the greatest torments of all. Left in that pestilential place, and utterly without the power to hope for comfort, I could neither sit nor lie down: there was no room. I was placed as it were in a hole in the wall; and those walls, terrible to look on of themselves, hemmed me in on every side. I could not breathe. There was no light, but all was thick darkness. I do not understand how it is; though there was no light, yet everything that can give pain by being seen was visible. Our Lord at that time would not let me see more of hell. Afterwards I had another most fearful vision, in which I saw the punishment of certain sins. They were most horrible to look at; but, because I felt none of the pain, my terror was not so great. In the former vision our Lord made me really feel those torments, and that anguish of spirit, just as if I had been suffering them in the body there. I know not how it was, but I understood distinctly that it was a great mercy that our Lord would have me see with mine own eyes the very place from which His compassion saved me. I have listened to people speaking of these things, and I have at other times dwelt on the various torments of hell, though not often, because my soul made no progress by the way of fear; and I have read of the diverse tortures, and how the devils tear the flesh with red-hot pincers. But all is as nothing before this; it is a wholly different matter. In short, the one is a reality, the other a picture; and all burning here in this life is as nothing in comparison with the fire that is there. I was so terrified by that vision,--and that terror is on me even now while I am writing,--that though it took place nearly six years ago, the natural warmth of my body is chilled by fear even now when I think of it. And so, amid all the pain and suffering which I may have had to bear, I remember no time in which I do not think that all we have to suffer in this world is as nothing. It seems to me that we complain without reason. I repeat it, this vision was one of the grandest mercies of our Lord. It has been to me of the greatest service, because it has destroyed my fear of trouble and of the contradiction of the world, and because it has made me strong enough to bear up against them, and to give thanks to our Lord, who has been my Deliverer, as it now seems to me, from such fearful and everlasting pains. Ever since that time, as I was saying, everything seems endurable in comparison with one instant of suffering such as those I had then to bear in hell. I am filled with fear when I see that, after frequently reading books which describe in some manner the pains of hell, I was not afraid of them, nor made any account of them. Where was I? How could I possibly take any pleasure in those things which led me directly to so dreadful a place? Blessed for ever be Thou, O my God! and, oh, how manifest is it that Thou didst love me much more than I did love Thee! How often, O Lord, didst Thou save me from that fearful prison! and how I used to get back to it contrary to Thy will. When I had seen this vision, and had learned other great and hidden things which our Lord, of His goodness, was pleased to show me,--namely, the joy of the blessed and the torment of the wicked,--I longed for the way and the means of doing penance for the great evil I had done, and of meriting in some degree, so that I might gain so great a good; and therefore I wished to avoid all society, and to withdraw myself utterly from the world. I was in spirit restless, yet my restlessness was not harassing, but rather pleasant. I saw clearly that it was the work of God, and that His Majesty had furnished my soul with fervor, so that I might be able to digest other and stronger food than I had been accustomed to eat. I tried to think what I could do for God, and thought that the first thing was to follow my vocation to a religious life, which His Majesty had given me, by keeping my rule in the greatest perfection possible. If you highlight the poll results on WYD, you can see the trends. I have decided not to make a comment on the poll. The results are interesting, however. I shall leave it up for a day or two. Just in case you are a reader unfamiliar with the Internet terms "troll" or "sockpuppet", let me explain these to you. Here is Wiki's definition first of all of a troll. While this sense of the word troll and its associated verb trolling are associated with Internet discourse, media attention in recent years has made such labels subjective, with trolling also used to describe intentionally provocative actions and harassment outside of an online context. For example, mass media has used troll to describe "a person who defaces Internet tribute sites with the aim of causing grief to families." As you know, like Fr. Z and many others, I make all comments go into moderation. In the past three months, I have noticed an increase in trolling. Trolls give themselves away by referring to information off-topic and not really wanting information. Such commentators only want to vent, cause trouble, spew insults, and act like spoiled kids at the dinner table who want attention all the time instead of getting down to eating in a civilized manner. I have been wondering why there are more and more trolls. I intend to become more strict about commenting. If a person is not truly interested in the conversation, but wants to stir up trouble, that person is a troll. If a person uses personal attacks either towards me or other commentators, that person is a troll. 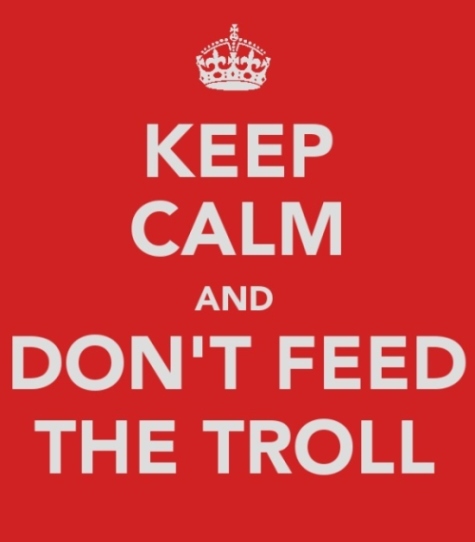 Sadly, trolling activity is sick activity, negativity gone wild and antagonism gone wild. Some trolls have real anger management problems. Most trolls want to start trouble. I am sorry that I have to bring up the seedy side of some commentators on blogs, but more and more people are falling into attack mode. Emotional responses are just not what commenting on blogs is about, folks. So, if some of you do not see your comments posted any more, take this posting to heart, and examine your own writing and even anger problems. Here is a good quotation from the Wiki article as trolling is deceit-big time. Another problem are sockpuppets, and all these people, trolls and sockpuppets, deceive on purpose. 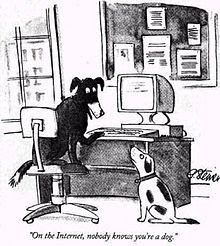 Wiki again: A sockpuppet is an online identity used for purposes of deception. The term—a reference to the manipulation of a simple hand puppet made from a sock—originally referred to a false identity assumed by a member of an internet community who spoke to, or about, himself while pretending to be another person. The term now includes other misleading uses of online identities, such as those created to praise, defend or support a person or organization, or to circumvent a suspension or ban from a website. A significant difference between the use of a pseudonym and the creation of a sockpuppet is that the sockpuppet poses as an independent third-party unaffiliated with the puppeteer. Many online communities have a policy of blocking sockpuppets. Thankfully, I have had limited sockpuppet invasions into my combox. But, there have been some recently. I do know of several persons on line who assume other's identities and this has come up on this blog at least six times. A pseudonym, like Supertradmum, is not a sockpuppet, but if someone else on another blog started using Supertradmum as a deceitful way to either get me into trouble or hide their own identity, that person becomes a sockpuppet. Or, if I took another identity and started praising Supertradmum, I would be a sockpuppet. Of course, all this activity is extremely sinful and may also reveal serious personality disorders or other sociopathic behaviors. All deceit is sin. And, the sin of maliciousness, that is, desiring to stir up trouble or to hurt people, is a serious sin. Blogging gets harder and harder as people who have never learned how to engage in rational discourse become the norm in society. UPDATE: I am not posting anything which refers to specific people, so if one comments and refers to situations which I simply really do not know about or read about, and if blogs or tweets are mentioned, I shall not publish those comments. Again, one does not have to engage these people or get involved. As Christians, one must avoid unnecessary and self-enhancing conflict. See the postings here from the past week on sin, discord, and suffering. O God our Father, You promised “I will appoint shepherds for My sheep who will shepherd them so that they need no longer fear and tremble: an none shall be missing.” (Jer. 23:4-5). Hear the prayers of Your flock. 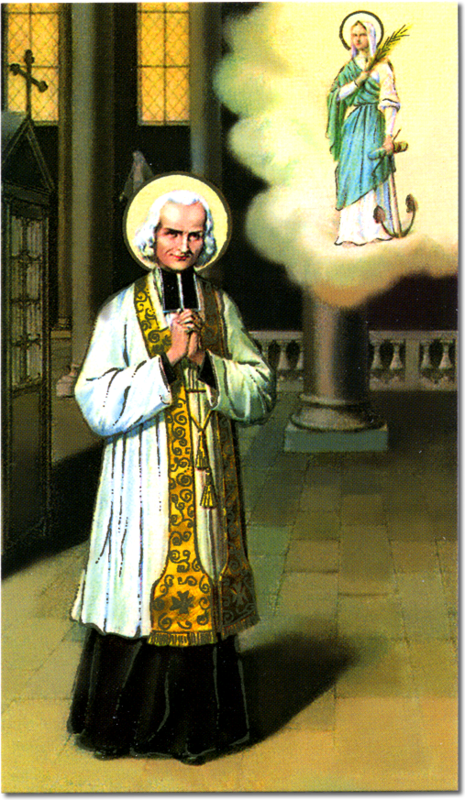 Through the intercession of Your beloved priest, Saint John Vianney, we beg You to call to the sacramental priesthood generous men who will desire nothing more than to serve You in imitation of Your Son, Our Lord Jesus Christ, our High Priest. And after You call them, we pray that You sustain the doubtful, console the discouraged, and strengthen the weak as they start the long and demanding preparation for the priesthood. Mary, Mother of priests, and example of faithful, humble, and joyful acceptance of God’s will, help all those who are called to the priesthood to open their ears and hearts to the gentle call of the Holy Spirit. 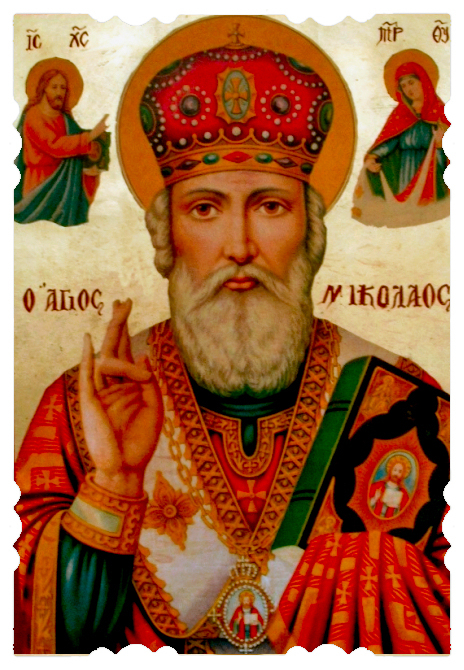 O Lord Jesus Christ, great High Priest, I pray that You call many worthy souls to Your holy priesthood. Enlighten the Bishop in the choice of candidates, the Spiritual Director in molding them, and the professors in instructing them. Lead the seminarians daily in Your unerring footsteps; so that they may become priests who are models of purity, possessors of wisdom and heroes of sacrifice; steeped in humility and aflame with love for God and man; apostles of Your glory and sanctifiers of souls. Is this not what we all want? Peace, thinking of God constantly, purity of soul and body, living the life of the virtues--and St. David is a good example for us all. David's killing of Goliath is the overcoming of the soul over passions and the flesh. One no longer depends on one's own strength, but that of the Lord. One may groan, as did Job, but one may not complain. Complaining is pride. As the hart panteth after the fountains of water; so my soul panteth after thee, O God. 3 My soul hath thirsted after the strong living God; when shall I come and appear before the face of God? 4 My tears have been any bread day and night, whilst it is said to me daily : Where is thy God? 5 These things I remembered, and poured out my soul in me : for I shall go over into the place of the wonderful tabernacle, even to the house of God : With the voice of joy and praise; the noise of one feasting. 7 and my God. My soul is troubled within myself : therefore will I remember thee from the land of Jordan and Hermoniim, from the little hill. 8 Deep calleth on deep, at the noise of thy flood-gates. All thy heights and thy billows have passed over me. 9 In the daytime the Lord hath commanded his mercy; and a canticle to him in the night. With me is prayer to the God of my life. 10 I will say to God : Thou art my support. Why hast thou forgotten me? and why go I mourning, whilst my enemy afflicteth me? 11 Whilst my bones are broken, my enemies who trouble me have reproached me; Whilst they say to me day be day : Where is thy God? 12 Why art thou cast down, O my soul? and why dost thou disquiet me? Hope thou in God, for I will still give praise to him : the salvation of my countenance, and my God. John of the Cross makes it clear that the life of the virtues begins in the Dark Night. Before that, one is not really living the theological, cardinal and moral virtues. God gives to those whom He leads into this night humility and readiness, albeit with lack of sweetness, so that what is commanded them they may do for God’s sake alone; and thus they no longer seek profit in many things because they find no pleasure in them. There is another very great benefit for the soul in this night, which is that it practices several virtues together, as, for example, patience and longsuffering, which are often called upon in these times of emptiness and aridity, when the soul endures and perseveres in its spiritual exercises without consolation and without pleasure. It practises the charity of God, since it is not now moved by the pleasure of attraction and sweetness which it finds in its work, but only by God. It likewise practises here the virtue of fortitude, because, in these difficulties and insipidities which it finds in its work, it brings strength out of weakness and thus becomes strong. All the virtues, in short—the theological and also the cardinal and moral—both in body and in spirit, are practised by the soul in these times of aridity. Once the aridity disappears into the complete Illumination Stage, the virtues are practised without effort, all the time.